Do you wake up to strands of hair on your pillow? Does your bathroom drain choke with fallen hair every time you shampoo your hair? Do you dread running a brush through your hair for the fear of losing hair? Is your hair thinning down at an alarming rate? If the answer to any of these is in the affirmative then, you most definitely are suffering from hair fall. Hair loss is one of the most common hair related problems faced by men and women alike. There are many DIY effective hair growth remedies, of which herbal hair oils prove to be one of the best cures for hair fall there is. While herbal hair oils can be prepared at home, there can be constraints in obtaining the right herbs to make the oil outstandingly effective. Preparing an oil using a couple of commonly obtained ingredients may not be able to control hair fall successfully. This is where ready-made herbal products made using the finest ingredients, come in handy. 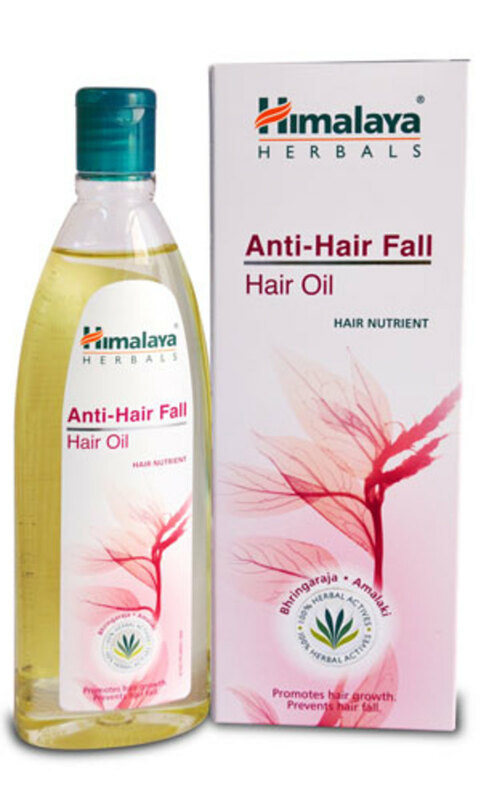 Himalaya Anti Hair-Fall Hair Oil is one such product. It contains natural extracts of time-tested proven herbal ingredients recognized for controlling hair fall and restoring hair growth properties. The Himalaya Anti-Hair Fall Oil contains a potent mix of herbal concentrates that nourish hair follicles, reduce hair-fall and promote hair growth, making it the perfect solution for your hair fall problems. The use of these herbs for promoting hair growth has been prevalent in India since ancient times. Bhringaraja or False Daisy – This Ayurvedic herb has many medicinal properties, one among them is prevention of hair loss and encouragement of healthy, glossy hair. The chemical compounds present in the herb stimulate inactive hair follicles out of their resting phase into an active growth cycle. Several laboratory experiments on rodents have proven the effectiveness of this herb in stopping hair fall and encouraging new hair growth. Amalaki or Amala or Phyllanthus emblica or Indian Gooseberry - is packed with vitamin C that aids hair growth, prevents hair-fall and dandruff. The essence of the fruit present in the oil makes it a powerful anti-hair fall potion. Neem or Azadirachta indica or Indian Lilac – is a tree indigenous to the Indian sub-continent. The leaves of the Neem tree are recognized for their anti-bacterial and anti-fungal properties. They are a natural anti-septic and used to cure infections in the hair such as dandruff, that can cause hair to fall. Methi or Fenugreek seeds – have a high concentration of proteins and lecithin, which is beneficial for your hair. They nourish the hair follicles making them stronger, and prevent hair fall. 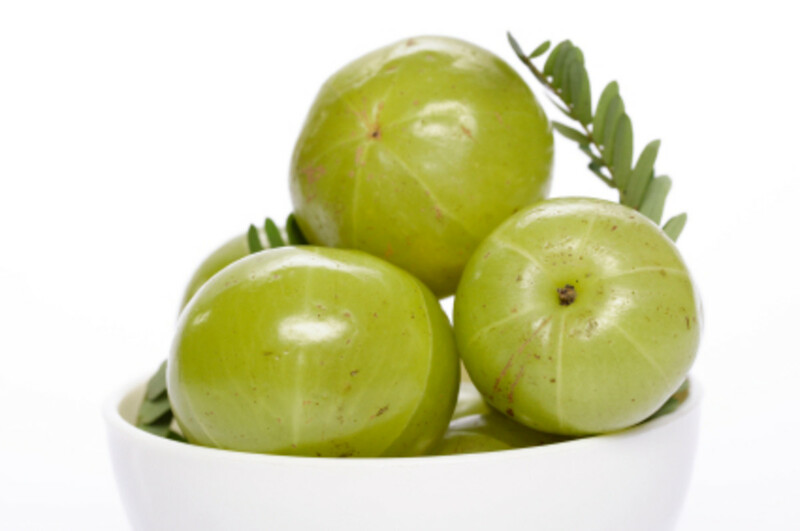 Bilva or wood apple – is another anti-bacterial agent that fights scalp infections that cause hair fall. The natural enzymes in the fruit have healing properties, that prevent itchy scalp and help retain the natural moisture in individual hair strands. This ensures the hair remain healthy and strong. The hair must be applied to the scalp, close to the roots. The best way to apply the oil is to part the hair in sections and applying a few drops of oil, and rubbing it in. It is important to gently massage the scalp using your finger tips. Massaging stimulates the scalp and improves blood circulation. The oil should be left on for at least 45 minutes, though it would be ideal to leave it on overnight. For best results shampoo your hair the next morning using Himalaya anti-hair fall shampoo. Use a conditioner and repeat the procedure every week. It is an easy to use non-sticky oil that can safely be applied to the scalp and hair everyday. It is an all-herbal product and does not contain any chemicals. The oil is also hypoallergenic, making it safe for use for individuals with sensitive skin. The herbal extracts in the oil are proven to rejuvenate hair. The oil strengthens hair follicles, prevents hair-fall and encourages new growth. It nourishes the scalp and the roots of the hair. Herbal extracts moisturize the hair, making it soft, smooth and more manageable. Split ends and dryness can also be controlled with regular use of the oil. Dandruff and other scalp infections that cause hair-fall are also cured. Himalaya is a trusted brand known for its herbal products. A 200ml bottle costs just $11. The herbal oil has a strong sweet scent that can put you off.